As a Pilates studio owner and instructor, it is vital to keep up with the ongoing trends in the health and fitness industry. The landscape is massive: the global fitness and health club industry generates more than 80 billion US dollars in revenue per year, with nearly 26 billion dollars being attributed to the United States. According to a recent study by the Bureau of Labor Statistics, these fitness and recreational sports centers employed 533,200 people in 2014, and jobs are expected to grow 8% by 2024. With the huge concentration on health and wellness, these are then Top Ten trends we see in Spring 2018. 1.Group Fitness classes are on the rise. These instructor-led classes are designed to be fun, motivational and foster a sense of community. These classes can include HIIT (High Intensity Interval Training), dance cardio, step aerobics, Yoga and Pilates to name a few. Group classes can be a great way to try a new workout or mix up your routine. Many boutique fitness studios offer free or discounted first classes, as a bonus. At our studio, we offer a new client to try any floor classes they want for $21 in 21 days. It’s a great way for a new client to see the different offerings at our studio. They are also a fun way to bond out with friends or meet new people. The social aspect is very encouraging and a motivation driver for many people who might not have the discipline to go at it solo. Fitness trackers, smart watches, and heart rate monitors are as popular as ever- everyone seems to be sporting one with the anticipation of meeting their customized daily goal. Wearable technology can give you valuable feedback about how you move and how much you move. Many gadgets estimate your steps, sleep, standing time, calories burned, and time spent working out. Fitbit Alta HR ($149.95) is the world’s slimmest wrist-based, continuous heart rate tracking device that can track your sleep patterns and has an awesome battery life up to seven days. In my own experience with fitness trackers, I tend to be a bit too over-diligent and ambitious, always trying to obtain a certain calorie burn or number of steps. Sometimes it can be exhausting, so try to use the trackers as feedback, not a chain around your wrist. Another brand focusing on design and performance is Roka, which launched in 2013 by co-founders Rob Canales and Kurt Spenser in a garage in Austin, Texas. Both were former co-captains and All-American swimmers at Stanford who reunited to sign up for an IRONMAN® 70.3. In late 2016, Roka launched performance ultralight sunglasses which would withstand extreme training and racing. The company has a huge selection of premium sunglasses for both men and women that not only look good, but they are ultralightweight and big on performance. I love Rio, the third iconic aviator frame offered in the ultralight eyewear collection. Rio has a Titanium frame and patented GEKO pads on the nose and temples which provide stability and comfort. Whether I am running or trail running, these do not slide off my nose at all. 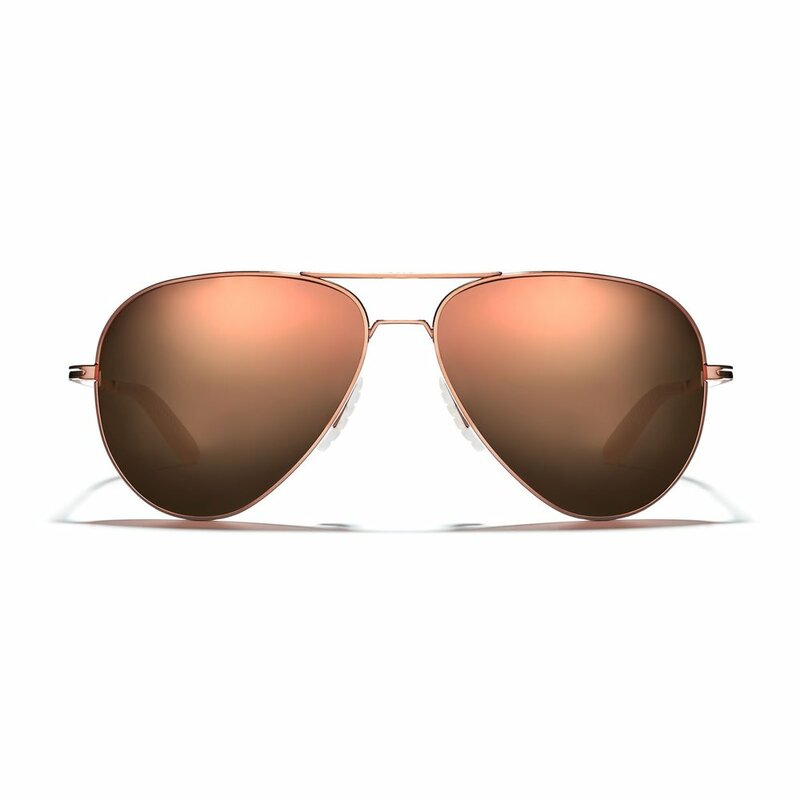 Rio comes in 6 frame color options, but my absolute favorite is the Copper frame with Rose gold mirror. Halsey is the newest ROKA Ultralight Performance sunglass with classic optical wayfarer styling while delivering market-beating performance. I love it because it sits nicely on the face and provides a more edgier and trendy look. Roka carries sunglasses for all sports – running, cycling, golfing and snow – related activities. 3.Sneakers are making their mark as a fashion statement, without losing function. Gone are the days of your basic white running sneaker. Many brands are bridging the gap between fashion and function. Take APL/ Athletic Propulsion Labs for instance - founded in March 2009, by then 23year-old identical twins Adam and Ryan Goldston, the brand offers sneakers which provide design and performance. The company’s patented Load ‘N Launch® device is a sophisticated feat of engineering located in the forefoot of the basketball shoe just in front of the flex zone and the ball of the foot. The device features unique compression properties designed to provide an instant rebound effect that is transferred up through the foot to enhance vertical leap (or what we call vertical propulsion). The sneakers are comfortable to wear casually, but also great to cross-train in, coming in bright colors and textures. The TechLoom Pro in Rose Gold/Mélange for Spring features a mélange of metallics all woven together in the prettiest pink, without sacrificing comfort. It’s perfect for the gym and the street. Cushioning is super comfortable as it is the proprietary Athletic Propulsion Labs Propelium® midsole/outsole. Keds, originally known for their white tennis sneakers has partnered with several designers such as Kate Spade and Rifle Paper Co. in order to provide fashion and function. The launch of the collaboration with Rifle Paper Co. presents statement sneakers in bright floral patterns that can be worn on the court or just kicking around. Sneaker companies known for their performance running sneakers such as Hoka One One offer an array of bright colors. The recently launched CAVU, a versatile running shoe with PROFLY™ cushioning comes in a bright pink known as Cherries Jubilee while Bondi, the company’s signature cushy sneaker for long runs comes in many vibrant colors as well. 4. Yoga continues to be a big trend in health and fitness. The diversity Yoga offers appeals to many different people. From Iyengar yoga, power yoga, Bikram yoga to restorative and many more different styles, the options are quite endless! Not only can Yoga offer a great workout and aid in stress management, the practice can also help improve flexibility, mental clarity and build endurance. 5. According to a 2017 article by Forbes magazine, the athletic apparel trend is here to stay. In 2015, while apparel sales increased by only 2%, activewear sales grew by a whopping 16%. With that healthy growth, brands are constantly trying to supply new product offerings that are on-trend. Through innovative fabric, Lululemon offers consumers items such as the Swiftly tank ($58), which inhibits the growth of odor-causing bacteria on the garment through Silverescent® technology. The Gait Keeper jacket ($128) is water-repellent and perfect for layering. With its chic peplum design in the back, it works well as a workplace cover up or as a running jacket. Since newness is important, best-selling items such as Flow Y Bra Nulu ($48) don’t change in style but come in updated colors for the season. Crane & Lion has teamed up with DwellStudio to launch an exclusive 9-piece activewear collection that combines fun and chic prints with Crane & Lion’s workout apparel. DwellStudio is known for their modern home décor designed for everyday life and this is their first collaboration with a fashion activewear label. The collection includes three silhouettes – C&L’s popular capri tight, iconic keyhole bra tank and keyhole sports bra and comes in three color options. What’s especially great about these pieces are the super flattering fits the brand is known for and the light, airy prints. Prices range from $60 to $90. Along with popular brands like Lululemon, new labels have surfaced, many focused on appealing to a specific demographic and offering product that differentiates itself. Mira Rae, which is founded by a multi-cultural Indian and American family combines history with modern function and design. The pieces focus on ethnic properties using lightweight and breathable fabrics with wicking properties. The line contains many items perfect for on the go between the studio and running errands, but it is also great to dress up an outfit. The brands leggings are not the typical run-of-the mill as they have distinct details such as the use of foil on their best-selling leggings, which highlight each body with a compressive fit without being too snug. Another new label is Beloforte, which offers a palette of pale peach and a bluish green for their spring line in addition to a mix of black and white bodies. Their core active fabric EVOLV will appear matte in some light and have a subtle shine in other light, which contours the body making it appear slimming. They also incorporate shine in their elastic bands for Spring, which is a luxe satin detail on their bra bands and leggings. AETHER (pronounced “e-ther”) is a lifestyle collection for urban-dwelling, design-focused, well-traveled men and women. The brand provides modern, classic pieces in the Active section such as the Circuit Legging ($115), which is made primarily of quick-drying, stretch fabric and provides serious support and coverage. The flexible smart fabric warms you up when you’re cold and cools you down when you’re overheated. Other items in the collection include the Active Tank ($75), which is made from a poly-spandex blend and is moisture wicking and breathable thanks to opaque mesh side panels that ensure you look good while remaining cool. A seemingly basic piece such as the Wright jacket ($265) is made from a lightweight breathable, water-resistant softshell fabric, which is perfect for long rides on the biking commute. All AETHER apparel is constructed with a lifetime manufacturing guarantee. With the oversaturation of women’s active labels, many brands see an opportunity for growth in the men’s active wear market. According to Lululemon Chief Executive Laurent Potdevin, the company expects the men's business to account for more than $1 billion in annual sales by 2020. By increasing their focus and tapping into the male market, the brand offers products that are intrinsic, yet diverse. For instance, the Capacity Pant ($108) are tapered and have mesh fabric placed in the back waist and front pockets so your body can let off steam during sweaty training sessions. According to statistics, cycling, also known as biking, is on the rise. Whether you are biking for work, leisure or as means of transportation, in 2016, approximately 12.4% of Americans bicycle on a regular basis. In 2016, there were 66.5 million cyclists and bike riders in the U.S.
Bike companies like Electra supply consumers with a wide range of options- whether they are looking for speed, a leisure ride or even an electric bike. Since moving to Oregon about a year ago, I was initially nervous about biking because of cars and the uncertainty of other drivers. 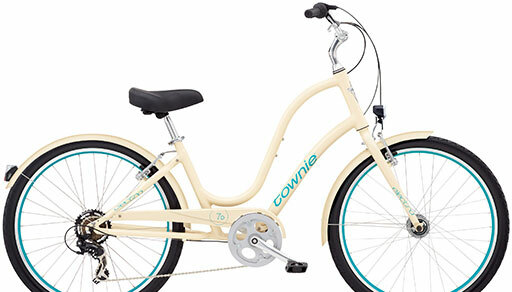 Since then, I invested in an Electra Townie®, which is the perfect run-around-town bike for riding to the farmer’s market, grabbing a coffee or heading over to the Pilates studio I co-own with my husband. I have found myself biking around town a lot. The town I live in is very bike-friendly, with bike lanes, and most drivers yielding to bicyclists. Ever since Birchbox launched in 2010 with its neatly packed beauty items, the business of subscription boxes has been growing: from clothes to accessories. Online meal kit delivery is no exception. With 27 percent of internet users purchasing meal kits through the internet in 2016, online meal delivery services are designed to eliminate the hassles of meal planning and grocery shopping. Essentially, it is meant to save consumers time and money. The popular niche market of online meal kit delivery services has continued to expand ever since its introduction in 2012. Revenue is expected to grow to over ten billion U.S. dollars in 2020, from one billion in 2015. While Purple Carrot, Martha & Marley Spoon and Sun Basket are all online meal delivery companies that provide pre-selected meals and ingredients with recipe cards delivered straight to your front door, they all provide something a little different to the consumer who is focused on healthy eating. Purple carrot is 100% plant based and seeks to educate people on the benefits of eating vegetables. The advantage is that if you don’t know much about vegetarian cooking, this is a great starting point. At 3 plant-based meals a week for $12 per plate ($72 per week), it seems to be worthwhile. Martha & Marley Spoon sends recipes of your choice and uses high quality ingredients such as grass-fed beef, artisanal vinegars and seasonal produce. You have the option to select between 2 to 4 meals per week. Prices vary depending on number of meals selected. Sun Basket is unique because co-founder Chef Justine Kelly works with many of the Pacific Coast’s best suppliers. Respected farmers, ranchers and fishermen offer fresh, sustainable ingredients in the weekly kits. On their website, you can read about the suppliers and how much they care about the quality of meals they are providing. What’s great about Sun Basket is that they have meal plans where you can choose categories that fit your eating style. For instance, these are some of the different plans: Paleo, Lean and Clean, Gluten-free, and Vegetarian to name a few. Prices vary depending on type of plan. Have you ever noticed there is a new book coming out almost every week about how their plan is the best way to health and weight loss? It seems our culture is absolutely obsessed with being healthy. While it is important to regard health and fitness seriously, many are taking to extreme diets in the name of “being healthy”. From Paleo to Primal and Atkins to Whole 30, the popular diet of the moment is the Ketogenic (also known as Keto) diet. The ketogenic lifestyle is a high-fat, adequate-protein, low-carbohydrate diet which reduces inflammation in the body. Historically, the ketogenic diet became popular as a therapy for children with epilepsy in the 1920s and 30s. The first modern scientific study as a cure for epilepsy was conducted in France in 1911. The diet forces the body to burn fats rather than carbohydrates. Of the items on the list, which trends have you followed and are following? What has worked and what hasn’t? With all trends, they come and go – only to be recycled later down the road. For me, the most important part of the health and fitness journey is to be willing to try new things and learn from things that do (or don’t) work. Group Fitness classes like Yoga and Pilates are on the rise. Roka Sunglasses bridge design and function. Electra Townie is the perfect run-around-town bike for riding to the farmer’s market, grabbing a coffee or heading over to the Pilates studio.